Different people treat their cars differently, and when it comes to the cleanliness of one’s car, it really depends. Some people do send their rides to the local car wash religiously each week, while others would prefer their car to have a more “rugged” look – dirty and all, since it gives the car a whole lot more character, or so they say. 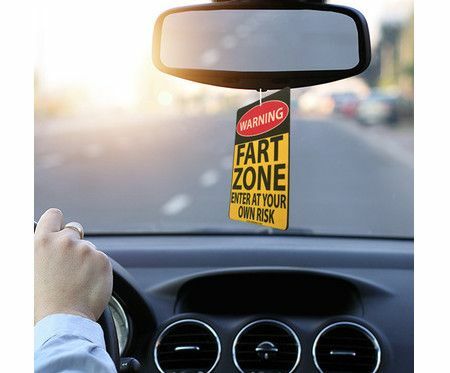 Well, the next time you pick up a friend or even a hitchhiker, you might want to check out the $3.99 Fart Zone Air Freshener. It is definitely a hoot, and thankfully, it does not smell like fart, but rather, vanilla.